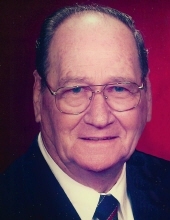 Lloyd E. Sutley, 90, of Franklin, passed away on Thursday, January 31, 2019 at 5:55 a.m. at Sugar Creek Station in Franklin. Born June 25, 1928 in Franklin, Lloyd was the son of the late Elmer D. and Dessie (Heffernan) Sutley. On November 11, 1946, he married Betty L. Hovis, who preceded him in death on May 14, 2016. For most of his life, Lloyd worked for CPT as a Crane Operator. In his spare time, Lloyd enjoyed being outdoors, mostly partaking in hunting and fishing. He also spent quite a bit of time at his woodworking station. Most of all, Lloyd cherished the time he spent with his family and game playing with his grandchildren and great-grandchildren. Lloyd is survived by his children: Ken Sutley, and his wife, Kris, of Mesa, AZ; Debby Olsen of Cochranton; Jerry Sutley, and his wife, Renae, of Ocala, FL; Peggy Robinson, and her husband, Barry, of Franklin; Wendy Cornell, and her husband, Greg, of Franklin; and Renee Masterson of Sandy Lake. Lloyd is additionally survived by his 13 grandchildren: Tim Olsen, and his wife, Brandie, of Cochranton; Marcy Curll of Franklin; Kelly Braughler, and her husband, Josh, of Franklin; Brady Robinson of Franklin; Evan Robinson of Franklin; Stacy Williams, and her husband, Drew, of Cleveland, OH; Chad Cornell, and his wife, Amanda, of Erie; Brandi Sutley of Florence, AZ; Josh Sutley, and his wife, Sarah, of Queen Creek, AZ; Brandon Masterson and his wife, Brittany, of Franklin; Bill Masterson, and his wife, Caitlin, of Franklin; Jeremy Masterson and his wife, Marieh of Franklin; and Jessica Rodgers of Seneca. He is also survived by 23 great-grandchildren and one great-great-grandchild. In addition to his wife, Lloyd was preceded in death by his parents; his brothers: Paul Sutley and Wilbur Sutley; his great-granddaughter, Hannah Sutley; his son-in-law, Jim Olsen; and his sister, Twila Hovis. Family and friends will be received on Sunday, February 3, 2019 at the Gardinier Funeral Home, Inc., 1315 Chestnut Street, Franklin, PA 16323, from 2 pm to 5 pm. Funeral services will be held at the funeral home on Monday, February 4, 2019, starting at 11 am with the Rev. Randy Kightlinger, Venango VNA Hospice Chaplain, officiating. Interment will be held at Deckard's Run Cemetery. Memorial contributions can be made in Lloyd's name to the Venango VNA Foundation, 491 Allegheny Blvd, Franklin, PA 16323. To send online condolences, flowers, cards, or for further information, family and friends are invited to visit www.gardinierfuneralhome.com. To send flowers or a remembrance gift to the family of Lloyd E. Sutley, please visit our Tribute Store. "Email Address" would like to share the life celebration of Lloyd E. Sutley. Click on the "link" to go to share a favorite memory or leave a condolence message for the family.